Our Jan. 24 Build Up Omaha keynote speaker discusses civic learning, public participation, the rural-urban divide, horse-race political journalism, and Big Ten basketball. Each year, Civic Nebraska’s Build Up Omaha awards recognize Omahans whose work embodies the spirit of a modern, robust democracy. We’ll officially honor the winners at a celebration Jan. 24. 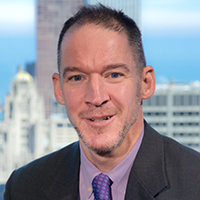 Shawn Healy, director of democracy programs for Chicago’s McCormick Foundation, will deliver this year’s keynote. We caught up with Shawn earlier this month for a quick preview of his remarks. 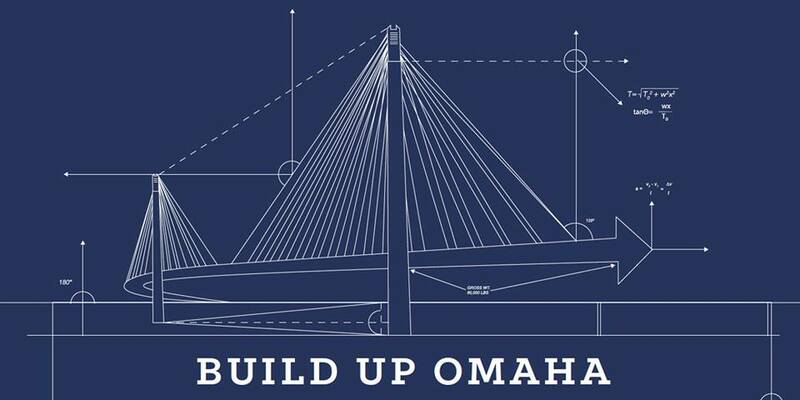 We’re eager to hear from you on Jan. 24 at Build Up Omaha. Last year’s keynoter, Ted McConnell, calls you “a giant in civic engagement and civic learning.” So, no pressure! Can you give us a quick, spoiler-free preview of what you’ll be talking about? Ted is the true giant in the field of civic learning and engagement and I’m honored to follow in his footsteps. My remarks will draw parallels between the mission of Civic Nebraska and the McCormick Foundation’s efforts to strengthen democracy in Illinois. It will focus specifically on inequitable access in our democracy, the disparate policy outcomes that follow, and how we can drive towards equity through deepened commitments to school-based civic learning and public institutions that invite broader public participation. In these polarized times, what opportunities are there for educators to bring historical, political and even Constitutional context to today’s headlines? And, with so many sources of information available these days, how important is it that such context is shared? We do live in a time of stark political polarization, and our schools have a central role in preparing citizens to have conversations across difference, a hallmark of democratic governance in a continental republic. My mentor, Diana Hess, Dean of the School of Education at the University of Wisconsin, finds that classrooms are sites of surprising political heterogeneity among students, even in blue cities like Omaha and the red rural counties of Central and Western Nebraska. Moreover, students’ views on the issues of the day are in a formative state. And teachers have the potential to facilitate structured discussions of current and controversial issues using reputable materials. This yields a promising recipe for deliberation that models what should be happening in Lincoln and Washington. Teachers also have a responsibility to develop students’ attentativeness to news that encompasses an ideologically diverse diet and media literacy skills to sort fact from fiction and objectivity from bias. You’ve written about the respective influences of both traditional and innovative civic learning practices – how a combination of curriculum and real-life civic learning practices can help build civically engaged young people. What are some of the more promising innovations that you’ve seen in civic learning in recent years? Perhaps the most significant innovation in civic learning came from the National Council for the Social Studies in the form of the College, Career, and Civic Life (C3) Framework. It has been used in a couple dozen states, Illinois included, to revise social studies standards that previously privileged content only. C3 weaves an inquiry arc across K-12 social studies subjects, lends itself to project-based learning, and calls for students to take informed action. Content is not de-emphasized, but instead becomes more relevant as students practice the proverbial instruments of democracy. Other innovations worth highlighting are the work of the Stanford History Education Group to develop civic online reasoning curricula and assessments, and iCivics’ game-based approach to civic learning. In Nebraska, much like Illinois, there is a perception that the urban-rural divide is growing in almost every area – economically, socially, politically, and so on. In what ways can civics and civic education help address this gap? We have found civics to be a unifying concept in Illinois through both our Democracy Schools Initiative and statewide implementation of a new high school civics course requirement. Both leveraged the social, political, and economic diversity of the state as assets. We have found that civic learning flourishes in various settings. Of course, local context is critical, but school, district, and regional adaptations breed innovation, and ultimately, emulation. In our case, statewide policies followed and have proven great equalizers in driving towards equity, connecting local oases into a bountiful tropical rain forest. Civic learning is a generational investment with returns in stronger civic health yielded over decades. Can you tell us more about how the Democracy Schools Initiative works? How can other states emulate this successful model? Illinois Democracy Schools provide high-quality civic learning opportunities to students across the curriculum and through extracurricular activities, and encourage student voice in school governance. They have democratic organizational cultures that undergird these opportunities and build reciprocal relationships with surrounding communities. Since 2006, 74 Illinois high schools have completed assessments of civic learning opportunities and organizational cultures, later developing plans for continuous improvement on these measures. California and Arizona are among the states that have replicated our model, and Nebraska is welcome to use our assessment instruments to this end. Key to our success has been the statewide community of practice that has emerged through a diverse network of high schools representative of Illinois’ geography and demography. We’re embarking upon (some would say already knee-deep in) presidential speculation season. As more and more candidates begin to throw their hats into the ring to run for the White House, how can educators, the mainstream media, and other organizations ensure that our focus is on issues of substance and not just personalities, gaffes, and horse-race polls? Horse race coverage certainly predominates, and a large Democratic field lends itself to this lowest common denominator. However, we are not sentenced to weather this issue-less onslaught. Teachers can engage students in examination of the exceptional issues-based news coverage, cultivating the rich news diet referenced above. Candidate websites usually list their policy positions on a range of issues, and numerous televised debates are important venues for substantive policy debates. Media that provides substantive coverage should be rewarded with page clicks and viewership. We can also demand assessments of localized impact from our community media outlets, and organizations like Civic Nebraska can field candidate questionnaires and post the results online. Last, you’re a pretty big University of Wisconsin fan. The Badger men’s basketball team is coming to Nebraska just a few days after your keynote at Build Up Omaha to play the Huskers just down the road in Lincoln. Could we convince you to hang around the Cornhusker State for a few extra days to catch the game? While parental and professional responsibilities prevent me from lingering for the Badgers-Huskers basketball game, I have great admiration for Coach Miles and expect that his Huskers will give Bucky all they can handle at Pinnacle Bank Arena, one of the loudest and most difficult venues in the B1G. I’ll be back in November for my maiden game at Memorial Stadium. I’ve heard such great things about Nebraska fans and know that Coach Frost will deliver a perennial championship contender in time.